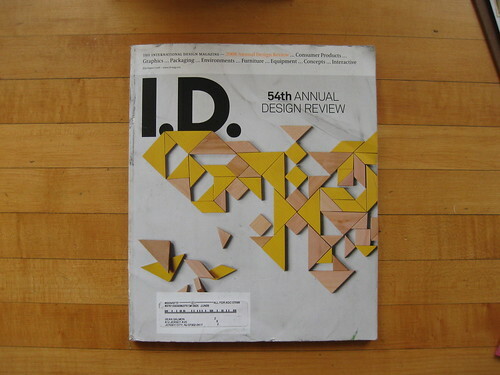 Every year the ID Annual Design Review highlights the best in design across several design disciplines. I took some photos of the items that really caught my attention. 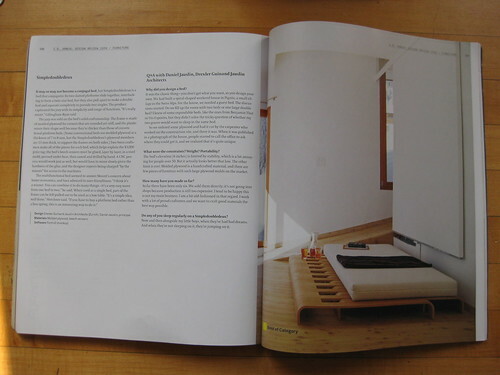 Click through the photos to go to the flickr set or go grab the magazine on the news-stand. 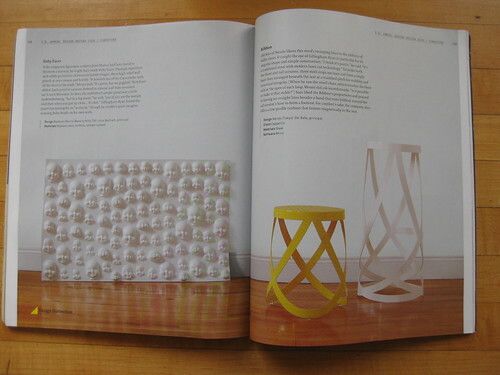 You can also see the projects on exhibition in NY at Parsons School of Design until September 28th. 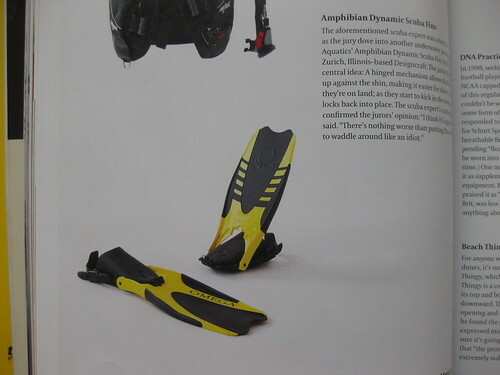 Flip up swim fins seem like an idea that should have happened so long ago its absurd. I know televison and movies are filled with frogmen wearing flippers walking all awkwardly and backwards due to the flippers. Will this be gone? Will anyone miss it? All the objects that nest with each other got their own spread. 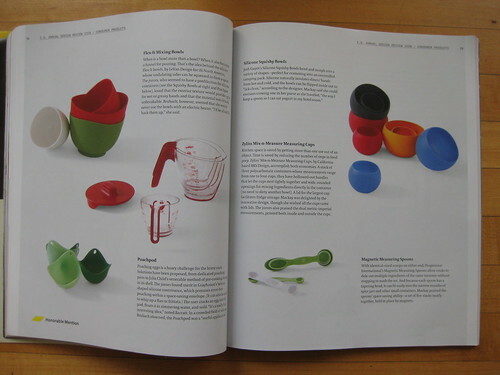 The bits I liked here were the magnetically nesting measuring spoons. The rest are nice bowls mostly. 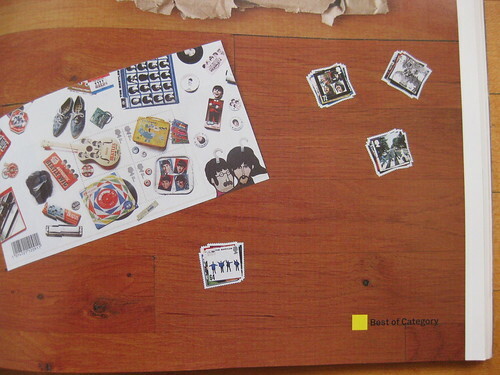 Johnson Banks designed beautiful stamps featuring Beatles covers. 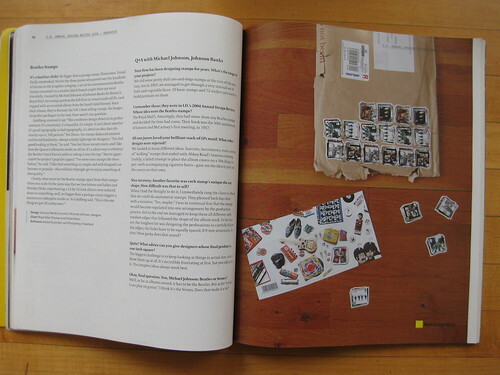 The beauty is that the stamps are die cut around the ‘stacked’ albums, creating custom shaped stamps. Tedious/fun task highlighted – getting the layout to work with the pitch of the stamp perforations. Ribbon stools based on the elegance of an unfurled ribbon made with laser cut, cold hard steel. 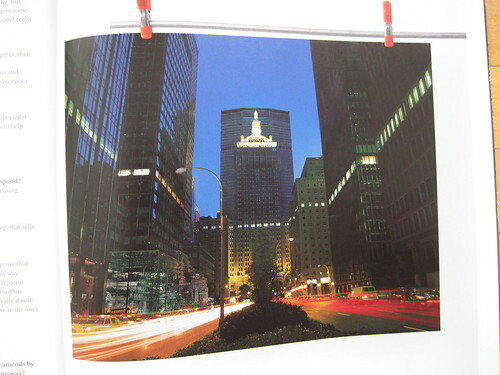 Concept project showing the waterline in New York City – Office buildings on Park Avenue – once the polar ice caps melt due to global warming.